My little Sun loves this mix. It is very clean and very high quality. I recommend doing business with The Birdsafe Store. 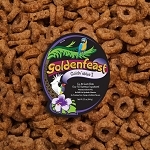 Ix27;ve always been pleased with the customer service and the quality of the toy items and food products Ix27;ve purchased from The Birdsafe Store. This on-line store gets my highest recommendation. 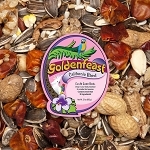 I always add a bit of Goldenfeast foods to all of my birds' dishes. 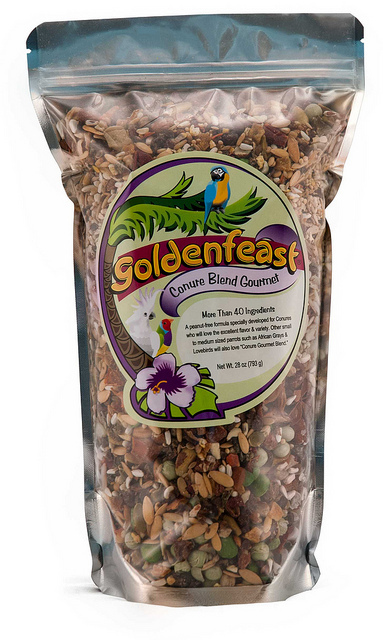 I use this conure blend as an addition to my senegal and green cheek dishes. 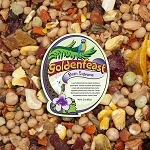 I sometimes add to my parrotlets' foods (not the big pieces). 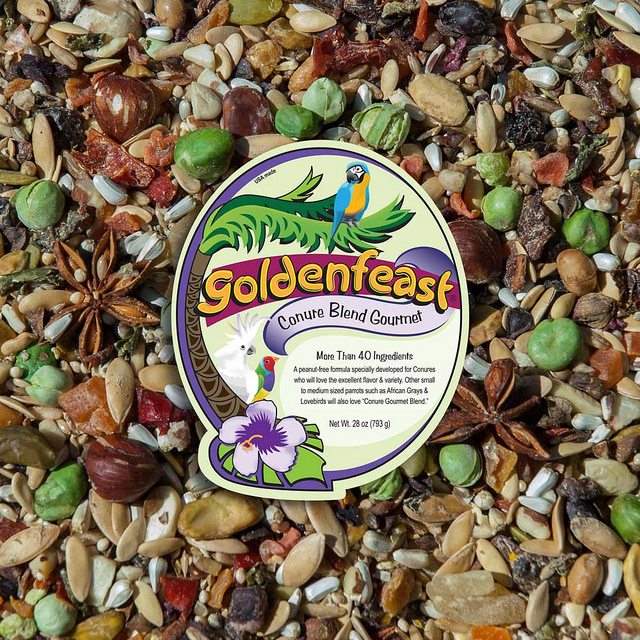 Nuts, seed, bits of fruit - it even smells tasty. 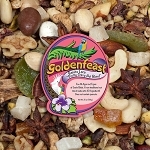 I like all of Goldenfeast products to supplement raw foods, pellets and bird bread. I'm giving 3 stars for the easy and quick delivery. The product however was just a bunch of crumbs. Ibe gotten used this stuff before and you got what was in the photo. Not sure if I got the bottom of a batch but that's sure what it looked like.